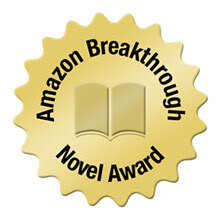 For the third year in a row, BC9 has reached the second round of the Amazon Breakthrough Novel Award contest in the sci-fi category based on the strength of my pitch. This year, there's a layer of extra complexity surrounding my entry. With the hiring of a professional editor (see previous post), the timing didn't work out for me to make any of the changes she suggested by the ABNA submission deadline. Therefore, it'll be interesting to see if draft 5 of the novel reaches ABNA round 3 given the outstanding issues. I guess if ABNA reviewers like the story as-is, it'll be a good problem to have. I'll cross that bridge if and when I come to it.